Nashville feels like home to us when we visit and has been home for Lauren & Oscar for the past few years! 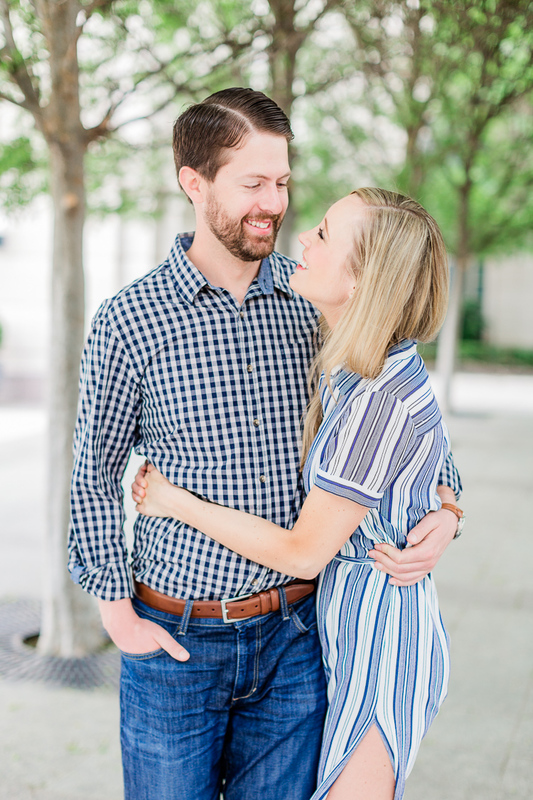 We walked around downtown by the Symphony Center to Broadway for their engagement session. Oscar's condo has a beautiful skyline view of downtown and including all of these iconic Nashville places in their session makes their summer move to NYC bittersweet. We couldn't end the session without going to the Cheekwood Estate and Garden's. I felt like we were walking through a Jane Austen novel, as Oscar guided us through one of his favorite places to bring his family and friends when they visit. Just as the rain started falling, we made our way to the estate's beautiful greenery covered patio. The most magical spot in Nashville, if you ask me.